Earning a degree that will lead to a good job out of college is the ultimate goal for most undergraduates—and certainly for the parents of those students. And while academic classes remain at the heart of this experience, today’s colleges and universities offer almost unlimited opportunities for learning outside the classroom. Career counseling professionals at a number of local institutions suggest that participation in student clubs provides students with fantastic opportunities that can enhance their chances of finding gainful employment after graduation. Joining one of these organizations offers significant benefits to students. “One of the things we try to reinforce with students is that their engagement with student clubs can set them apart from other applicants in the job search process,” explained Becky Rosswog, coordinator for career development at La Roche College. Employers can scan resumes and find plenty of students with strong grades and relevant majors, Rosswog said, but participation in clubs or activities gives the student a chance to practice the Three Cs—communication, collaboration, and critical thinking skills—that employers want to see. Both Snyder and Rosswog suggest that students take an active role in whatever club they might choose to join. “Go hear the speakers. Seek out opportunities to lead and to contribute,” Snyder advised. Networking opportunities are another benefit of participation in student clubs, according to both Snyder and Erin Bridgen, director of career development at Carlow University. Many college organizations host important and influential guest speakers. 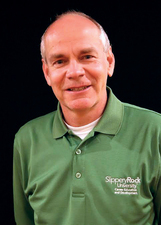 “Often, only two or three people will stay around to ask questions after the talk,” said Snyder, adding that a student can make a connection by introducing themselves afterwards and asking thoughtful questions. Being proactive in this kind of situation might result in a great opportunity to learn something new, to seek advice from an expert in the field or to meet someone who works at a company where the student is interested in employment. Bridgen recommends that students follow up with the speaker by asking for an informational interview (a brief meeting where the student comes prepared with questions about what that person’s job is like, what a typical day entails in that profession, etc.). In Bridgen’s experience, most professionals are happy to spend 20 minutes with an interested student to answer questions and share insights about their fields. She stresses to students that the purpose of the interview is to conduct research. “You are not asking for a job. You’re building a relationship,” Bridgen explained, although those relationships might eventually lead to an internship referral or notice about an open position. Brian Khoury, a junior at Carnegie Mellon University (CMU) majoring in electrical computer engineering, attributes his summer internship with Ford in large part to his participation as part of the CMU Solar Racing Club. During his first year of college, Khoury was a member of an eight-person team that constructed a 26-foot-long, carbon-fiber, solar-powered boat. The club’s president secured a significant amount of grant funding to pay for materials, and team members contributed countless hours working on the craft. 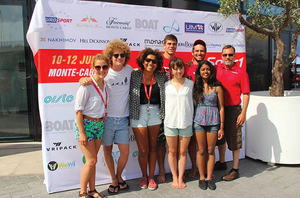 That summer, the group spent over three weeks in Europe, participating first in the Dong Energy Challenge—a two-week long-boat race in the Netherlands, where they traveled 30 to 40 kilometers a day and camped at night—and then the Solar1 Grand Prix in Monaco. Khoury describes this experience of a lifetime with both affection and an appreciation for all that he learned as part of the team. “The project was a chance to build upon coursework,” Khoury explained. “What we learned in class allowed us to approach problems and know where to look for help when we became stuck. We learned how to communicate with technical support and manufacturers and apply their advice.” Those practical experiences served him well, as did the soft skills he developed along the way. “You learn how to present ideas to a group while giving and taking criticism,” Khoury said. People did not always agree on how to solve a problem, and Khoury also appreciated the experience of learning how to direct the problem-solving process so that teammates could share their perspectives and arrive at a solution. In a great example of the networking opportunities students might find through club participation, Khoury ended up sitting next to a Ford executive at a scholarship dinner directly related to his involvement with the Solar Racing Club. The conversation turned to Khoury’s interest in electrical engineering and mechanics. The executive was impressed with Khoury’s role in the Solar Racing Club as well as the leadership skills he had developed while a student-athlete on CMU’s football team and as a semi-professional hockey player prior to college. The end result was an exciting internship opportunity for Khoury last summer. Whether a person’s interest is in building solar-powered boats, volunteering in a social service organization, or acting as treasurer for the Chinese Students Association, students can gain invaluable experience and develop marketable skills through their participation in a college club.